All links to bills lead to AEE’s PowerSuite. Click to sign up for a free 14-day trial. This blog post is excerpted from a newsletter that went out to members in late May. For the most up-to-date information on what's passing through legislatures, check them out in PowerSuite! As legislative sessions start to wrap up in some states, AEE continues to track legislation that may impact compliance strategies. ALEC bills — legislation that requires approval of state implementation plans by the legislature — were introduced in 27 states so far. Ten bills were passed, but most of them with language weaker than when they were initially introduced. Even in states hostile to the Clean Power Plan, stakeholders and regulators are quietly exploring compliance options. And some states are making moves toward greater use of advanced energy, which would make CPP compliance easy. Oklahoma Governor Mary Fallin has decided to make her state the first to employ Senate Majority Leader Mitch McConnell’s “just say no” strategy. Despite having vetoed ALEC legislation earlier this year, Governor Fallin has now issued an executive order barring Oklahoma from even working on a plan. Without submitting a plan, the state will be subject to a federal plan designed by EPA. Not everyone in Texas wants the state to forego drafting its own implementation plan. The Texas House International Trade and Intergovernmental Affairs committee held a hearing to consider Rep. Rafael Anchia’s proposed bill (HB 2080) to require the Texas Commission on Environmental Quality (TCEQ) and Public Utilities Commission of Texas (PUCT) to draft and implement a greenhouse gas reduction plan. Members of the Texas Advanced Energy Business Alliance (TAEBA) testified on how the bill — which prioritizes the state’s economic competitiveness — will impact their business in Texas. Also being considered, an ALEC-style legislative approval bill (HB 868 and SB 1325) would stymie the implementation process. Neither bill is likely to pass in its current form although the possibility of adding language from either bill to one of the other proposed energy bills remains open. Other energy bills currently being considered in Texas include a bill to repeal Texas’s RPS (SB 931) and one to remove barriers to more widespread use of demand response in Texas (SB 1284 and HB 3343). A new report from the Iowa Wind Energy Association (IWEA) shows that Iowa is on track to meet 52% of its final emission reduction target from projects that are being built and will be in service by 2016. The state could easily achieve 100% of its final target through wind energy alone if it adds an average of 210 MW per year between 2016. Over the last four years, the state has averaged 625 MW, three times that amount. The Illinois legislature continues to consider three different proposals to reform the state’s renewable portfolio standard (RPS) and energy efficiency resource standards (EERS). An editorial in the Chicago Sun Times explains a proposed bill being supported by AEE state partner Clean Energy Trust, along with the Clean Jobs Coalition, saying “the concept is sound.” HB 2607 and companion bill SB 1485 would strengthen the current RPS and remove caps on energy efficiency investments. The bills also authorize the Illinois Environmental Protection Agency (IEPA) to establish a “cap-and-invest” policy, similar to RGGI, in which IEPA would sell carbon allowances at an auction and invest the proceeds, primarily in energy efficiency and renewables. Exelon and ComEd (which received approval to use miniature drones to inspect downed power lines last month) also have reform proposals. Any of the bills, if passed, would provide a foundation for Illinois’s CPP compliance planning. Major energy legislation features prominently in the Michigan legislative session this year as well. Democrats have already put forth a bill package that would, among other things, double the state’s RPS which is set to level off at 10% this year. Republican legislators, led by Republican state Senator Mike Nofs, will propose a competing package in the coming weeks that would require the state to use integrated resource planning (IRP), which could lead to more renewables and efficiency, if they prove cost effective. Republican Governor Rick Snyder has indicated that he sees Michigan’s renewable generation increasing to 15% to 25% by 2025, depending on natural gas prices. Governor Snyder recently gave a speech making renewables and energy efficiency a top priority of his administration. “In Michigan, you’re going to be seeing us make a major move from coal to other sources of energy,” he said. Given Michigan’s year-long legislative session, it is unlikely that energy legislation will be approved until after the Final Rule is released. Valerie Brader, senior policy advisor to Governor Snyder on energy issues, gave an interview in which she framed the Governor’s energy plan as beneficial to Michigan regardless of limits set on the state’s carbon emissions. Meanwhile, a new report says that the CPP would benefit the health of Michigan residents more than those of other states. 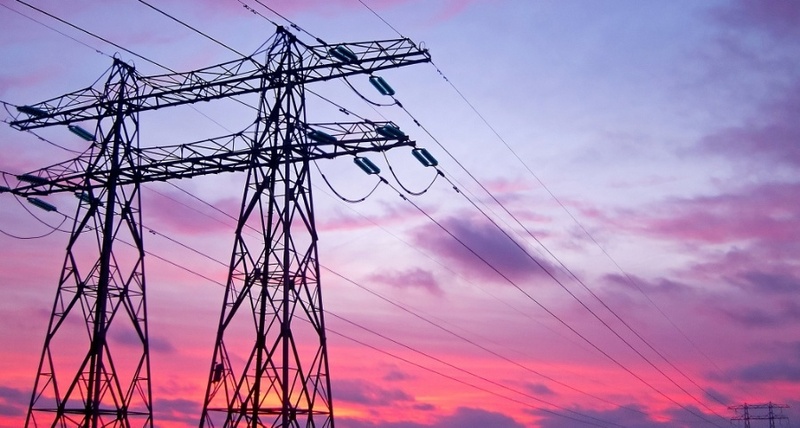 Arizona Public Service (APS), the state’s largest investor owned utility, announced last month that it is considering joining California ISO (CAISO) energy imbalance market. The utility estimates it can save between $7 million and $18 million annually through participation because it would have to maintain less operating reserves. APS’s chief complaint to EPA was how its peaking plants were treated under the Proposed Rule. Joining the CAISO energy imbalance market has the potential to alleviate some of those concerns by allowing APS to operate less reserve capacity without impacting reliability. Nevada-based NV Energy is set to join later this year. Following final approval of SB 1007, a bill to remove obstacles to compliance planning in Arizona, stakeholders began meeting with the Arizona Department of Quality (DEQ) to discuss the state’s implementation plan. The law requires the DEQ to consult with the Arizona Corporation Commission (ACC), utilities, and IPPs. DEQ is also consulting with other stakeholders. The law also authorizes DEQ to enter into a regional compliance plan either with other states or with Indian tribes. EPA issued a separate rule for “Indian Country” in November 2014. The Navajo Indian Reservation, the largest in the United States, is located partially in Arizona and operates three coal-fired power plants. Other Western states are already considering regional compliance options. Idaho, Montana, Oregon and Utah are quietly exploring implementation strategies that include regional cooperation in case anti-CPP litigation, in which some of those states are involved, should fail. Learn more about how AEE is engaging with the Clean Power Plan, and become involved! Featured image courtesy of Peter Nijenhuis and used under a Creative Commons License.